PREVIOUS DISNEY AND PIXAR FILMS POISED TO RETURN TO THEATERS IN 3D!!! 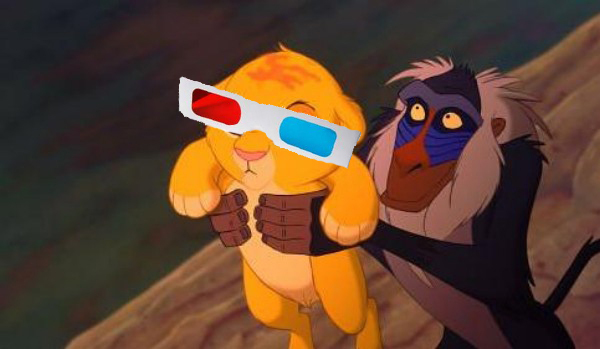 So of course with the recent success of Lion King in 3D and being released in theaters again, Disney and Pixar are going to release a multitude of older films from their archives back in theaters in 3D. And why wouldn’t they? Lion King this past week has made tons and tons of money. Read below what films we can expect first in 3D. First released in 2003, Disney•Pixar’s Finding Nemo takes audiences into a whole new world in this undersea adventure about family, courage and challenges. When Marlin, an overly cautious clownfish living in the Great Barrier Reef, helplessly watches his son get scooped up by a diver, he must put aside his fears of the ocean and leave the safety of his coral enclave to find Nemo. Buoyed by the companionship of Dory, a forgetful but relentlessly optimistic fish, Marlin finds himself the unlikely hero in a seemingly impossible land-and-sea rescue.Finding Nemo won an Academy Award® for Best Animated Feature and was nominated for three others. With a total of $867.6 million worldwide, it was the second highest-grossing film of 2003. In 2001, Disney•Pixar released Monsters, Inc. Lovable Sulley and his wisecracking sidekick Mike Wazowski are the top scare team at Monsters, Inc., the scream-processing factory in Monstropolis. But when a little girl named Boo wanders into their world, it’s up to Sulley and Mike to keep her out of sight and get her back home.Monsters, Inc. shattered every DVD-era home entertainment sales record when 11 million DVD/VHS copies were sold during its first week of release. It won an Academy Award® for Best Song and has grossed $526.9 million worldwide. So we have a little while, but I expect more and more to get released. This entry was posted on Tuesday, October 4th, 2011 at 2:23 pm	and is filed under Film, News. You can follow any responses to this entry through the RSS 2.0 feed. You can skip to the end and leave a response. Pinging is currently not allowed. « Find Out Who the Big Name Directors Are That Warner Bros. Is Talking to for Another ‘Twilight Zone’ Film!! !